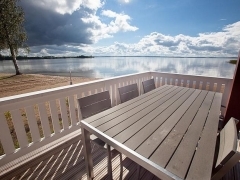 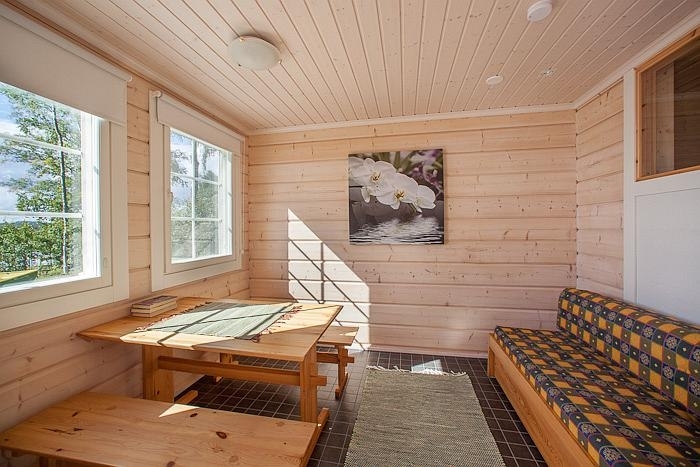 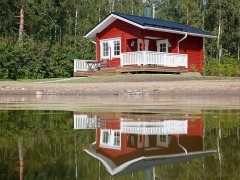 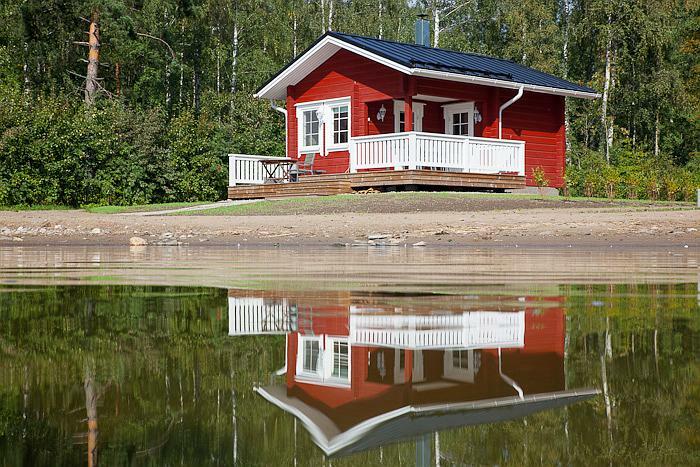 Renovated Eerikki is a paradise for sauna lovers. 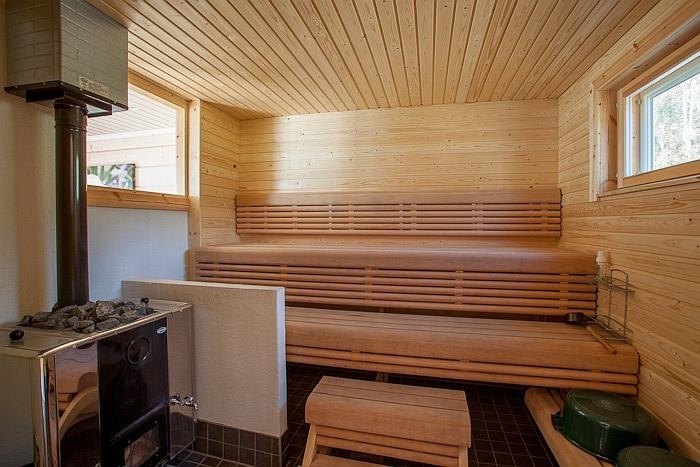 From May to October, it is possible to go to three different saunas. 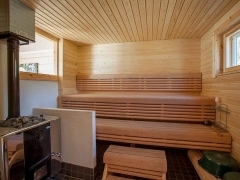 You can enjoy the hot steam in the modern electric sauna of the villa or in the “ancient” sauna in the yard or in the beach sauna offering a breath- taking view of the lake. 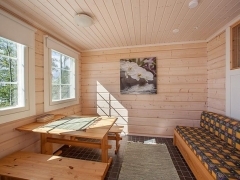 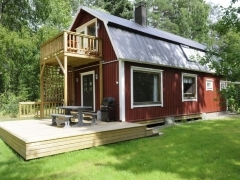 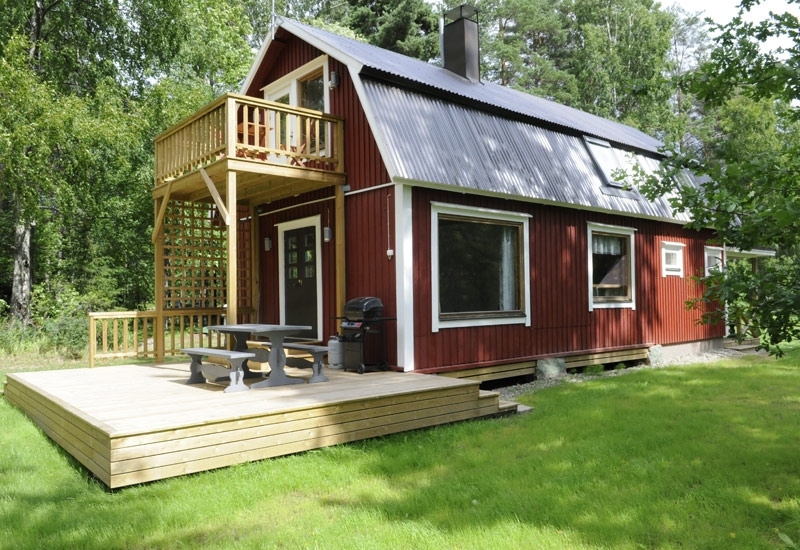 During the sauna season, the cottage sleeps 12, providing accommodation in the villa as well as in two sauna rooms. 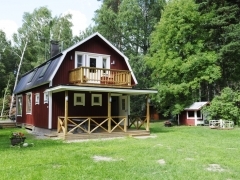 In winter the cottage accommodates 4+2. 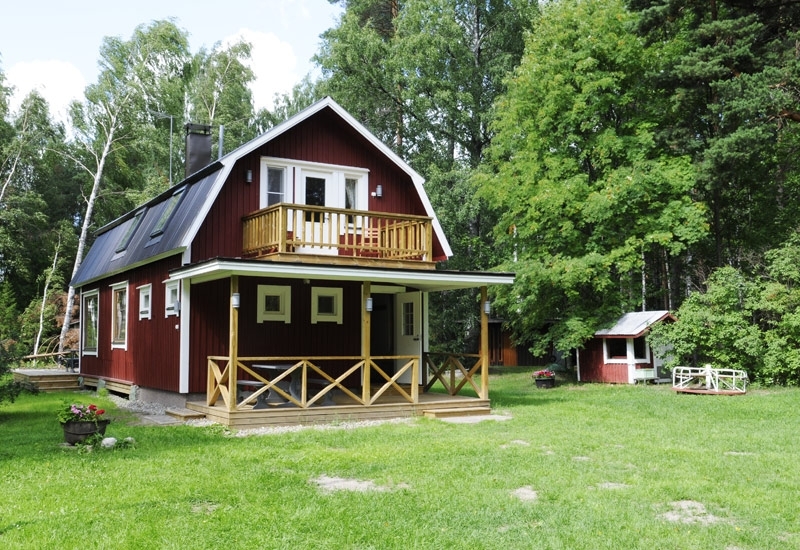 In the cottage, you can see logs from the 1920s, but the modern conveniences are from this millennium. 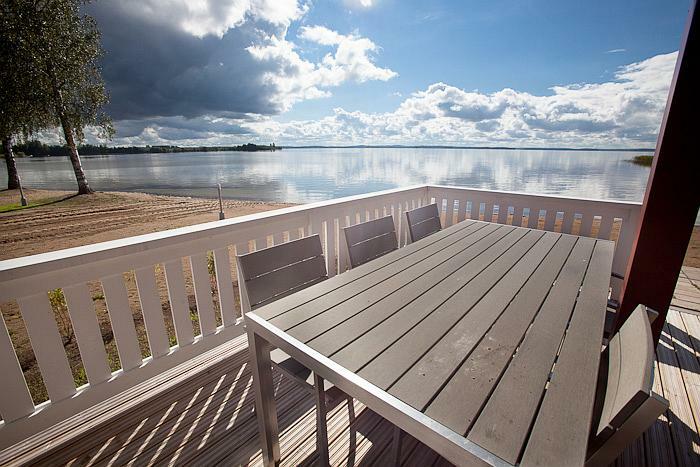 You can easily get to the balconies from bedrooms, there are also terraces on both ends of the cottage.